Over the course of a nearly 40 year career, Bill Maris developed a photographic approach that was notably unique — first, with esteemed photographer Ezra Stoller, whose artful architectural photographs were widely acclaimed, and later with his wife, Julie Semel. Maris refined a style of photography that not only captured the beauty of various structures, interiors, and landscapes, but also added a layer of contemplation and loneliness reminiscent of Edward Hopper and the style of the late 20th-century American realist painters. 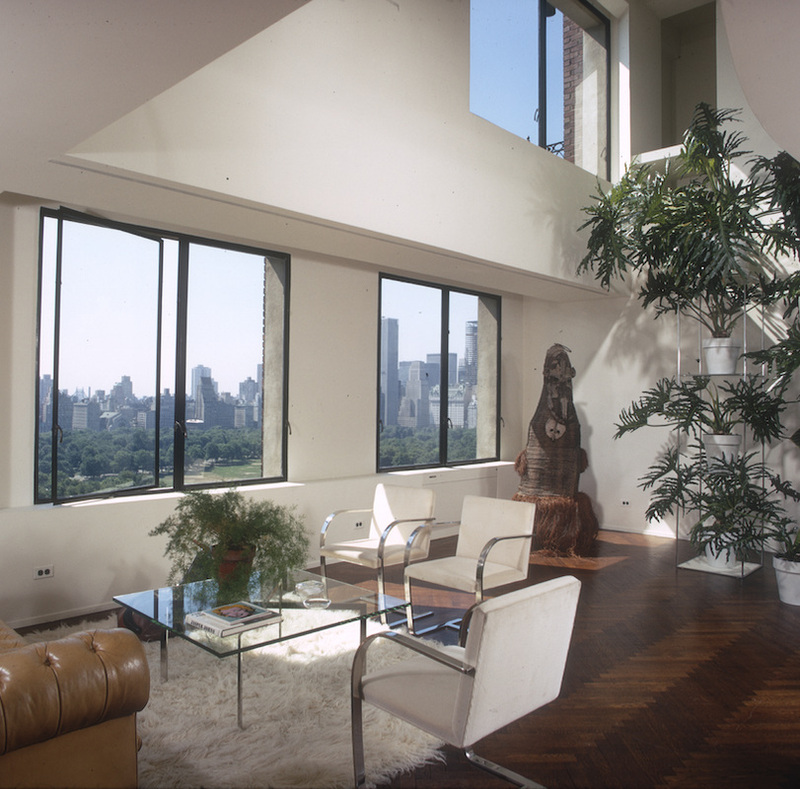 From the 1960s through the 1990s, Maris and Semel’s work read as a who’s who of architecture, design, and editorial clients: I.M. Pei, Richard Meier, Charles Gwathmey, Robert A.M. Stern, Michael Graves, Eero Saarinen, Frank Gehry, House & Garden, House Beautiful, and Traditional Home, to name a few. Prominent institutions such as the Yale University Art Gallery and the San Francisco Museum of Modern Art have acquired Maris and Semel’s work for their architecture and design collections. Inside/Outside: Through the Lens of Bill Maris and Julie Semel brings into focus a cross section of genres toward which Maris and Semel turned their camera lens. Focusing on form, light, and color, their artful aesthetic transcended conventional architectural photography and brought a fresh perspective on interior and exterior spaces. Inside/Outside: Through the Lens of Bill Maris and Julie Semel has been curated by graduate students in the School of Information at Pratt Institute as the culmination of work in LIS 665, Projects in Digital Archives. This exhibit is the result of the combined work of archival processing, digitization, curation, and design teams. The collaboration has produced an online digital exhibition and an online finding aid for Bill Maris and Julie Semel's photography collection. The collection was donated to Pratt by Julie Semel and includes over 10,000 items on a wide variety of film formats. The curatorial group has composed exhibits relating to four prominent themes in architecture and design of the late 1960s through the early 1990s, as expressed through the photography of Bill Maris and Julie Semel. Pratt Institute's School of Information administers the oldest library and information science program in North America. The program prepares students to harness the latest digital technology to design a more usable and understandable world. It also prepares students to be leaders in the field by imbuing them with the values of the profession and teaching them to uphold and advocate for intellectual freedom, equal access to information, and lifelong learning.